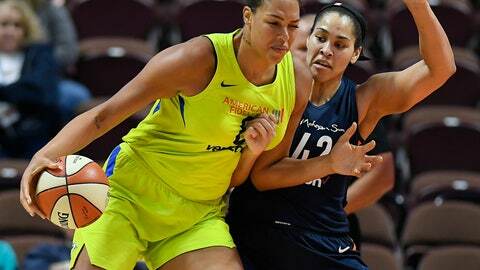 NEW YORK (AP) — Liz Cambage is looking to play elsewhere next season. After last season ended, Cambage left the door open to not returning to the WNBA this year, citing the league’s low salaries. She excelled for Australia in the FIBA World Cup this fall, helping the team earn a silver medal. Cambage told the AP at the World Cup that she was going to take some time to decide whether she wanted to return to the WNBA.